Maurice Moeri is Carshalton-based and of Swiss descent. He trained as a lithographic artist and spent many years working in the commercial printing industry in London. His work included packaging design, advertising and security reproduction for major banks. 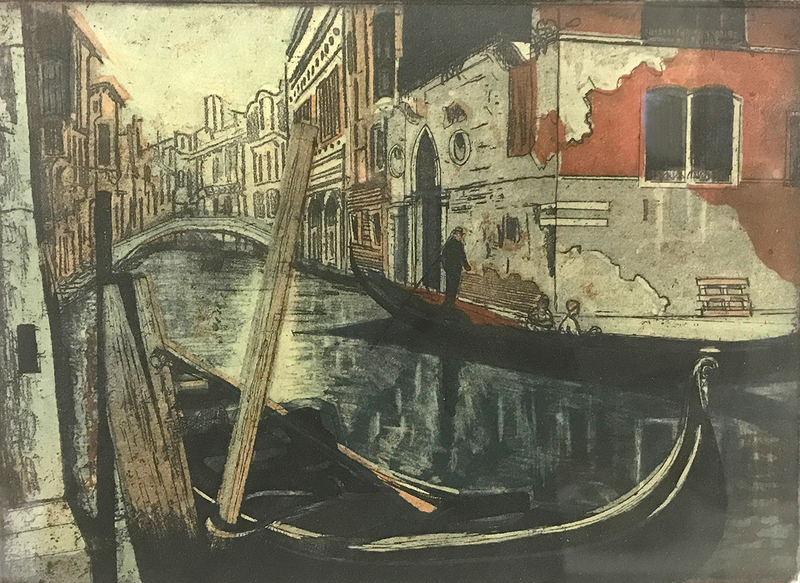 As newer print technologies overtook traditional methods during the 1980s Maurice turned to fine art printmaking, where his draughtsmanship and expert knowledge of print processes are brought together. He has exhibited widely, mainly in London. He is a member of the Chelsea Art Society, National Society of Painters Sculptors and Printmakers, Swiss Artists UK and has also shown work in the Royal Miniature Society’s annual open exhibitions. His individually hand made etchings, aquatints, wood engravings and linocuts are inspired by the natural world, archaeology and favourite locations in the South of England, and Europe. Each piece of work forms one part of an edition and subject to availability, may be requested framed or unframed.